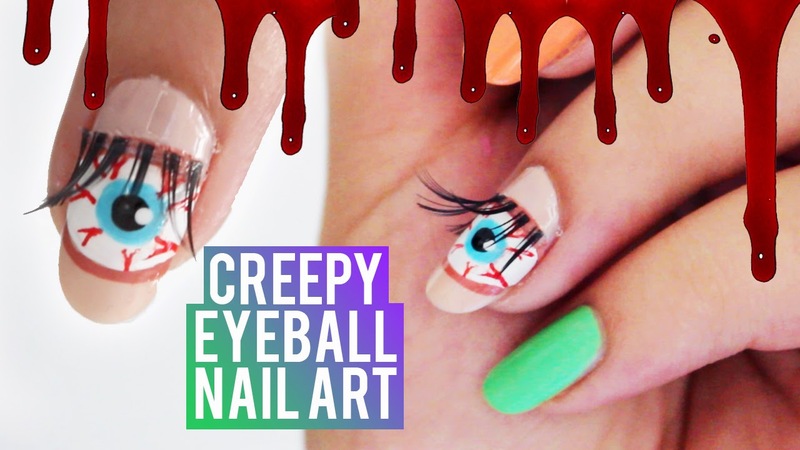 Hellomaphie: Creepy Eyeball Nail Art using EYELASHES! Creepy Eyeball Nail Art using EYELASHES! Hope you like this idea to paint your nails and if you do please make sure to give this video a BIG THUMBS UP! Subscribe if you aren't already! Whoah, these are so creatively creepy! Love em!